Creative Journal - Dylusions collection. Dyans "perfect" journal - a blank journal that is a combination of manila cardstock and matte white heavy cardstock, ideal for the application of Dylusions Ink Sprays and techniques using water, inks, paints and mediums. 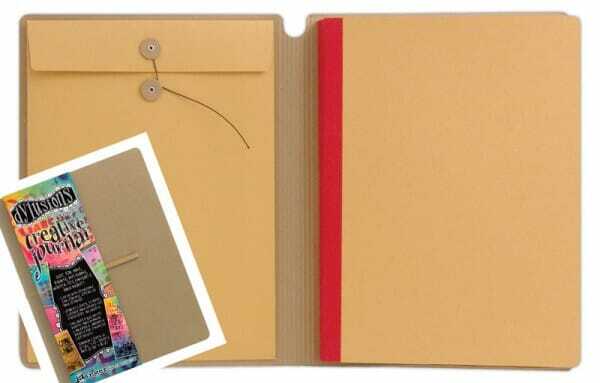 The journal cover is made from sturdy chipboard and filled with 64 unlined pages for endless paper crafting creativity. Customer evaluation for "Ranger Ink - Creative Journal"